BERLIN (Bloomberg) -- Audi said China will replace Germany as its biggest market in 2011 “at the latest,” CFO Axel Strotbek said. 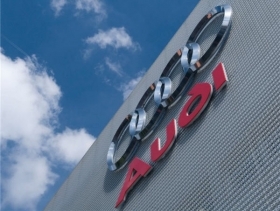 Over the next three years Audi aims to deliver one million vehicles in China, where it outsells rivals BMW AG and Daimler AG's Mercedes-Benz, Strotbek told reporters on Tuesday. Audi's sales in Germany and China in 2010 are neck-and-neck. The brand's 11-month Chinese sales surged 50 percent to 209,800. The booming Chinese market will help Audi reach another year of record sales in 2011, Strotbek said. The carmaker is targeting worldwide deliveries of more than 1.08 million units in 2010, a rise of 14 percent from 2009. Eleven-month sales climbed 15 percent to 1 million vehicles, surpassing Audi's full-year sales record set in 2008. “I think we'll see growth of about 8 percent,” Strotbek said of the Chinese economy. Chinese car sales have historically outpaced GDP growth, the China Automobile Industry Association said last week.